Available as either a Chrome Extension or Chrome App. 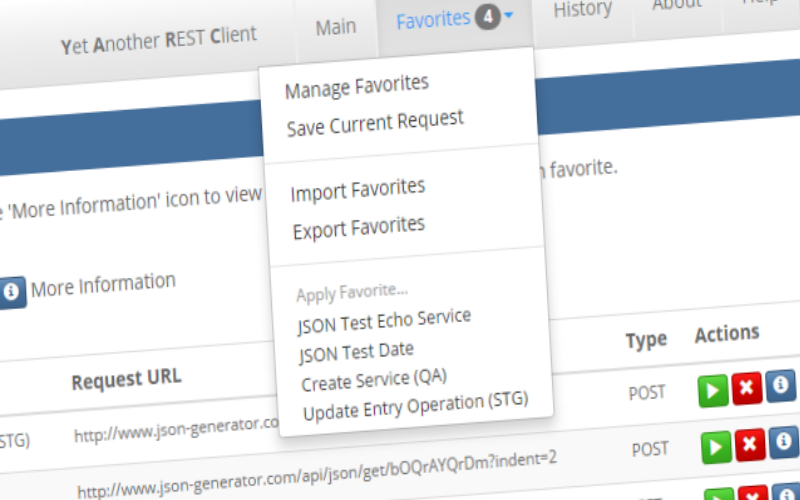 Simple to use but powerful features like favorites, import/export, request history and more. 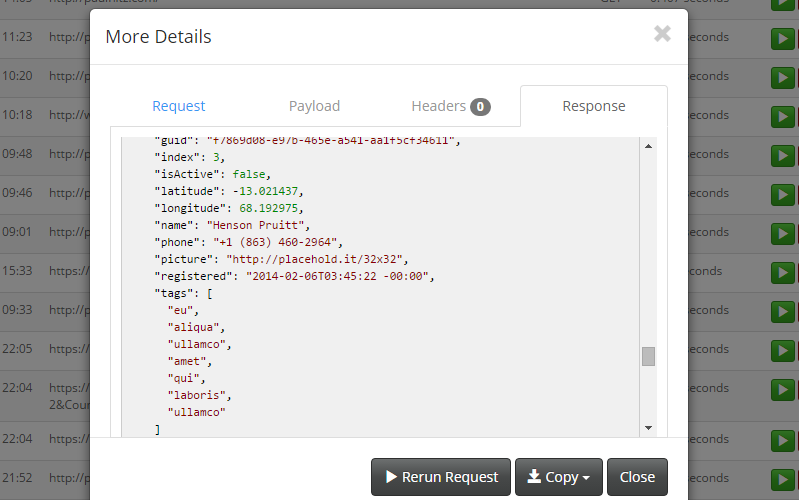 Open Source Software with no restrictions. 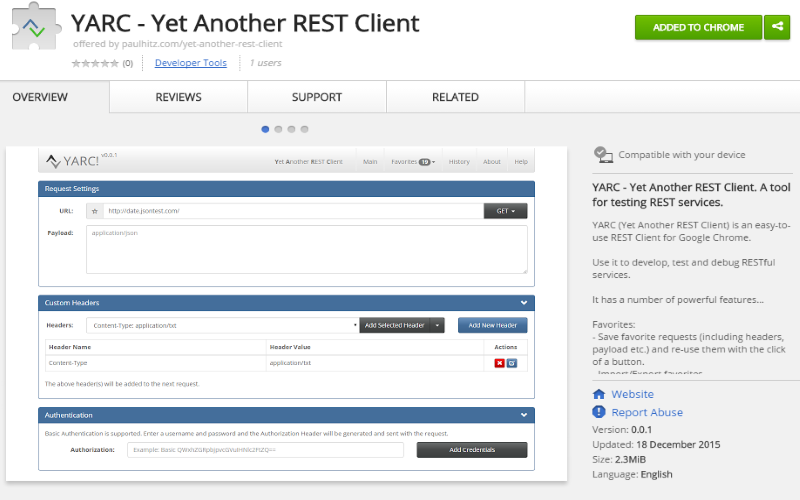 A free REST Client for Google Chrome. 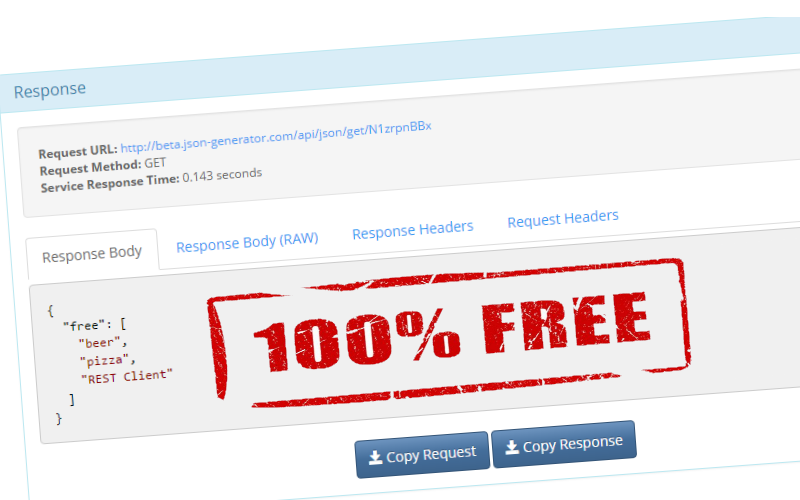 Save favorite requests and re-use them with the click of a button. Import/Export available. View all your previous requests and responses. Easily run them again at any point in the future. 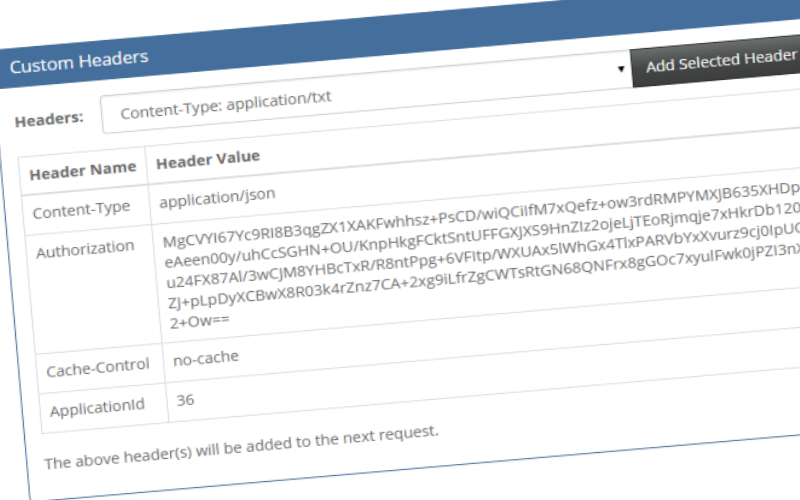 Choose from a large range of existing request headers or create and save your own. 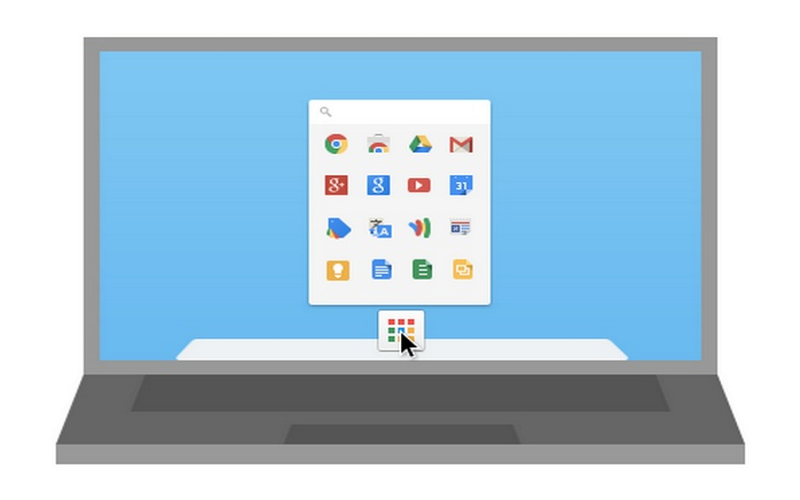 Available as a Google Chrome browser extension and can be installed in seconds. Also available as a Chrome App. It can be added to your desktop for easy access. The tool is 100% free but donations are appreciated and help fund future development.